$849$8 and 49 cents$0.27 / oz. 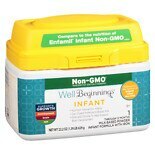 Shop Well Beginnings Dual Prebiotic Non-GMO Infant Formula (22.2 oz. )22.2 oz. $1999$19 and 99 cents$0.90 / oz. 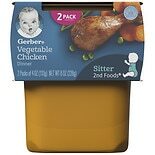 Find a flavor and type of vegetable baby food that can help you give your baby what he or she needs for healthy growth. 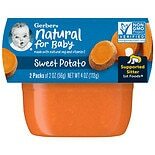 Choose from a variety of ingredients, such as sweet potatoes, sweet peas and carrots to create meals for your baby that will be easy to feed. 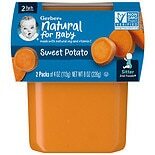 There are plenty of vegetable baby foods in different textures that are ideal for various stages in your baby's development here at Walgreens.com. Stock up on the baby food jars you're familiar with from brands such as Gerber or get your baby started on organic meals from Plum Organics. 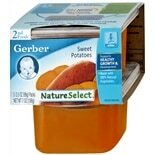 We carry all stages of baby food, including 1st foods, 2nd foods, 3rd foods and toddler foods. All of these vegetable baby foods can help you get your baby started on a path of good nutrition and healthy eating for life. 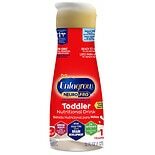 Make mealtimes simpler with a range of baby feeding essentials for parents and little ones. Protect your baby's clothing with a ready-to-use selection of baby bibs. You can keep your floor and table clean with placemats that are spill-proof and easy to clean up. For teaching your little ones to use utensils, there are soft and safe baby spoons, forks and bowl sets in fun colors.